Tomorrow is International Women’s Day. Hence, in today’s and tomorrow’s post, we take a look at women in the workplace. After a couple of posts about academia (here and here), we are back to the industry – namely, the asset management industry! US Department of Labor statistics and reports by Catalyst Research suggest that 55% of the labor force in the financial sector are women. Also, 39% of managerial positions are filled by women. Our own analyses as well as previous research have shown that female fund managers are much rarer – roughly 10% of all fund managers. 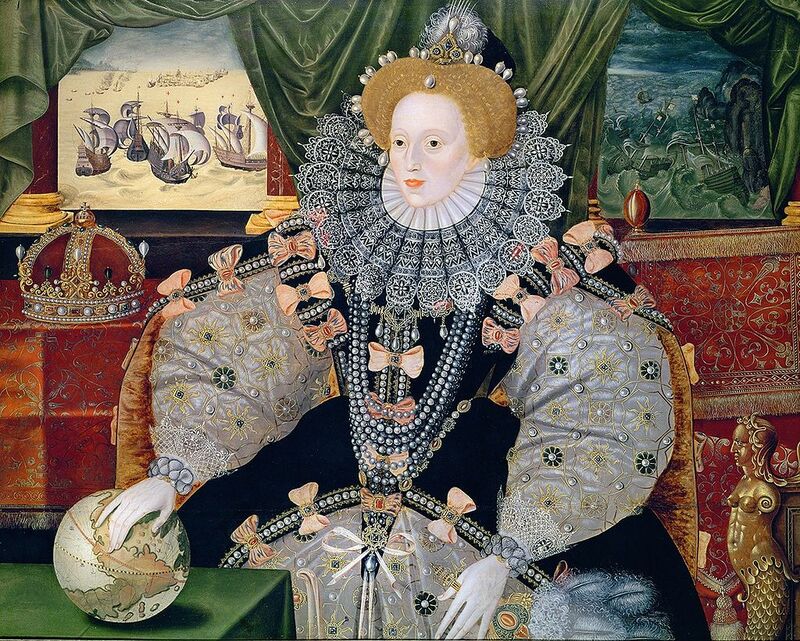 What do we know about these women? How do they fare in the industry? How do they differ from their male colleagues? LouAnn Lofton published her book on Warren Buffett’s investment strategies in 2012. 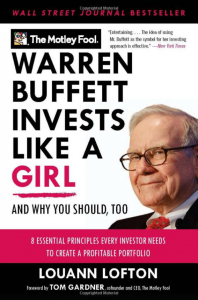 Apart from having a catchy title, the book rests on an interesting premise: Women are „temperamentally“ better suited as investors. This may or may not be true. Many studies such as this one have shown that women take less risky investments on average, trade less, and are less over-confident. But personally, I tend to be skeptical when someone reduces behavior as diverse as investment choices to any binary classification. After all, many factors that differ signficantly between men and women (such as personal wealth) also affect risk-taking. And adjusting for all these observable factors (plus the unobserved ones) is a notoriously difficult econometric task. Of course, many people would argue that professional money managers are in general not representative of the whole population. After all, these people choose a very specific career path. And maybe women who go for a career as fund managers differ from their male colleagues in specific ways. I.e., female fund managers may really have a different temperament than their male colleagues. I would argue that this is not biologism but a selection mechanism. To explore the differences between male and female fund managers, we collected single-managed US domestic equity funds. 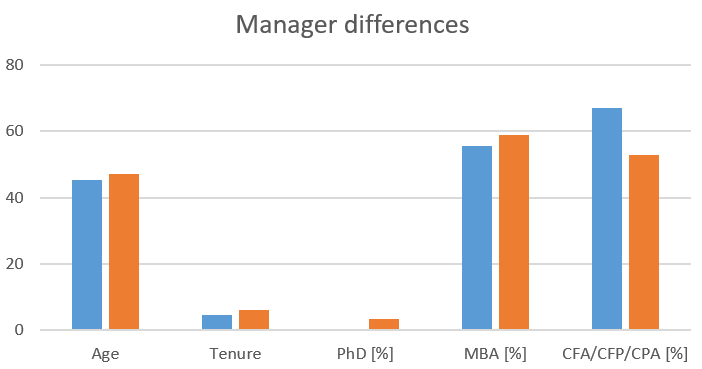 We identify 2.140 single-managed between 1992 and 2015 for which we can determine whether the manager is male or female. 187 female managers are responsible for 282 funds, 1.707 managers are responsible for 2.041 funds. Figure 1 shows the main characteristics at the fund manager level, separate for female and male managers. Figure 1: Fund manager characteristics. We find that the female fund managers are about two years younger and stay with a specific fund for about one year less than their male colleagues. And while they have fewer graduate degrees (MBA, PhD), they often have additional industry certifications (CFA, CFP, CPA). How do the funds differ? We display summary statistics in Figure 2. Female fund managers are responsible for significantly smaller and more expensive funds and trade signficantly less. 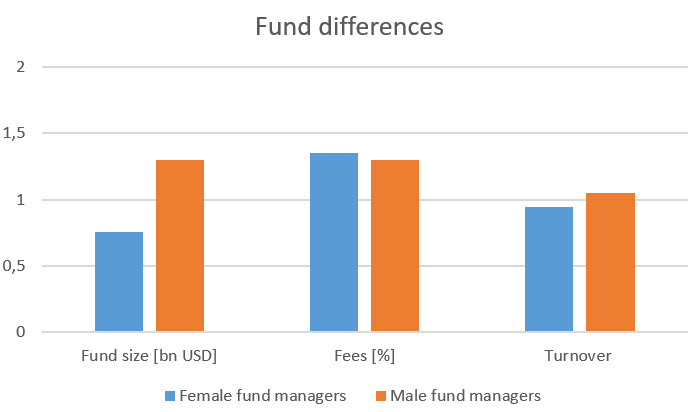 The net effect for investors is not clear: While fees for funds of female managers are 5 bps higher, the higher trading volume results in higher transaction costs for the male-manager funds. In tomorrow’s post, we will look at how and why performance differs between funds with female and male managers – but before that, let’s see how the different sizes and fees give rise to a gender pay gap. While the net effect for investors is not clear, Figure 1 and 2 paint a pretty obvious picture regarding the gender pay gap we can expect. Fund families usually compensate their managers with a slice of the total fee “cake” (fees times assets under management) they charge investors. This is why moving on to a larger fund is a promotion in the asset management industry – larger cakes make for larger slices. And the cakes are substantially different: Female fund managers are compensated with a slice of the “cake” of 1.35% * 755 mn USD = 10.2 mn USD. Male fund managers are compensated with a slice of the “cake” 1.30% * 1,294 mn USD = 16.8 mn USD. So, male managers’ “cake” is 65% larger. Assume for the moment that fund managers receive 10% of the cake, irrespective of gender. Then, the gender pay gap is 700,000 USD – every year. In tomorrow’s post, we will look at whether performance differences explain the pay gap (sneak preview: they don’t)!